The first police station (probably a slab or bark hut) was opened in Wodonga in 1854. Its strength at the time of opening was a senior constable, a constable foot, and a constable mounted. The local police headquarters in 1854 was at Beechworth. These headquarters contained the administrative centre of the Ovens Police District. It was about this time that Robert O’Hara Bourke, of Bourke and Wills fame, was a senior police inspector at Beechworth and in charge of the district. In the 1870s a police station was built adjacent to Wodonga’s first courthouse (which still stands) on the corner of Wodonga and High Streets. In 1905 it was reported that Sergeant Simpson had taken possession, as a police station, the building formerly used as a custom-house on the western corner of High Street and Bond Lane. “In the backyard was a blue stone cell block and a night soil toilet, as well as a stable used previously for horse and carriage. “Single quarters were at the rear of the brick station for three or four members, with a kitchen and laundry. “Mostly the station was left unlocked at the back and it was not unusual to return from a patrol and find a caller sitting in the front office warming himself in front of the fire, such was the level of trust in those days. “Opposite the police station was a boarding house which supplied meals to prisoners which we carried across the road to the cells, constabulary room service. “The lady who ran the boarding house usually wanted to know who the prisoner was and what he had done, information which was relevant to the quantity and quality of breakfast supplied. The town population was 7000 at the time and mostly law abiding. 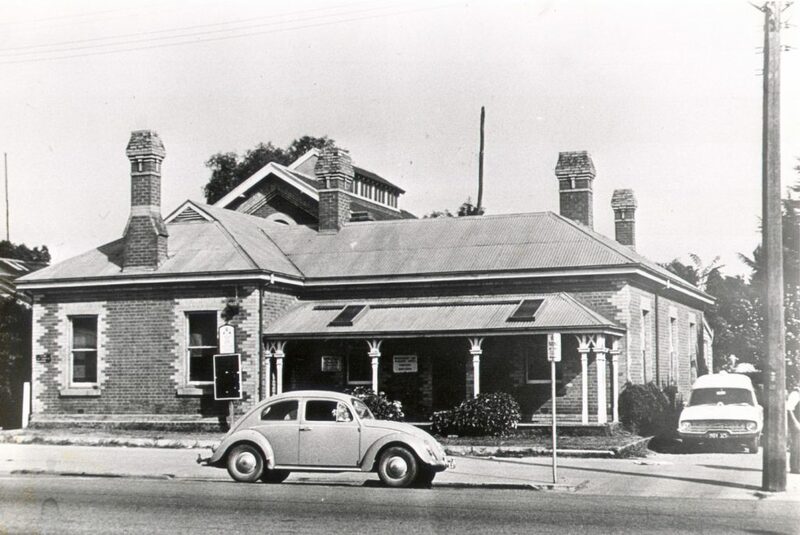 This police station was in use until its move to Elgin Street (next to Elgins Hotel) in December 1967. To view the society’s collection please visit its display rooms at 19 South Street, Wodonga. The display is open on the first Sunday of each month from 1pm to 4pm.